1680500554 – Unlock the secrets to creating random mazes! Whether you’re a game developer, an algorithm connoisseur, or simply in search of a new puzzle, you’re about to level up. 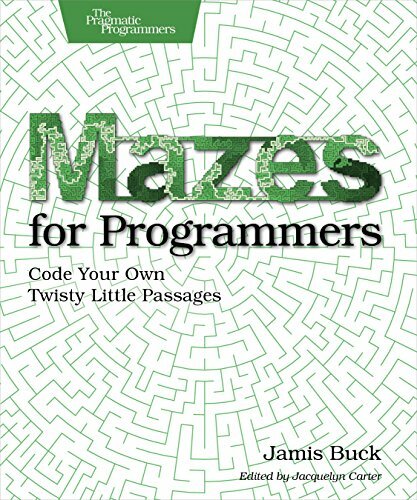 Learn algorithms to randomly generate mazes in a variety of shapes, sizes, and dimensions. Bend them into Moebius strips, fold them into cubes, and wrap them around spheres. Stretch them into other dimensions, squeeze them into arbitrary outlines, and tile them in a dizzying variety of ways. From twelve little algorithms, you’ll discover a vast reservoir of ideas and inspiration.